Article 1. 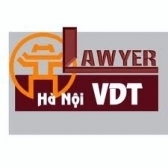 To equitize Parent Company - Vietnam National Textile and Garment Group in the form of saving current state capital at the Group and issuing more shares to increase charter capital, and the State will hold ruling shares. Time for defining enterprise value to equitize is 0 hour dated January 01, 2012.